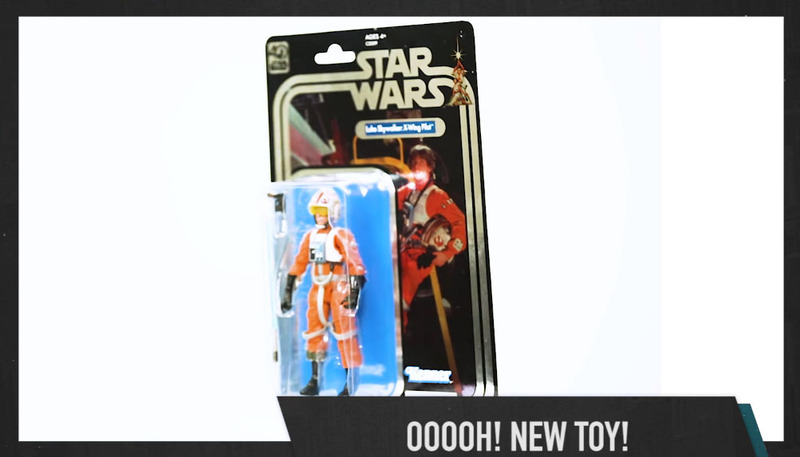 On the latest edition of The Star Wars Show, they revealed a pretty stellar looking exclusive coming this Spring. For the Star Wars Celebration 2017 show in Orlando, Florida, Hasbro will be offering an exclusive Black Series Figure for the 40th anniversary of Star Wars: Episode IV – A New Hope. 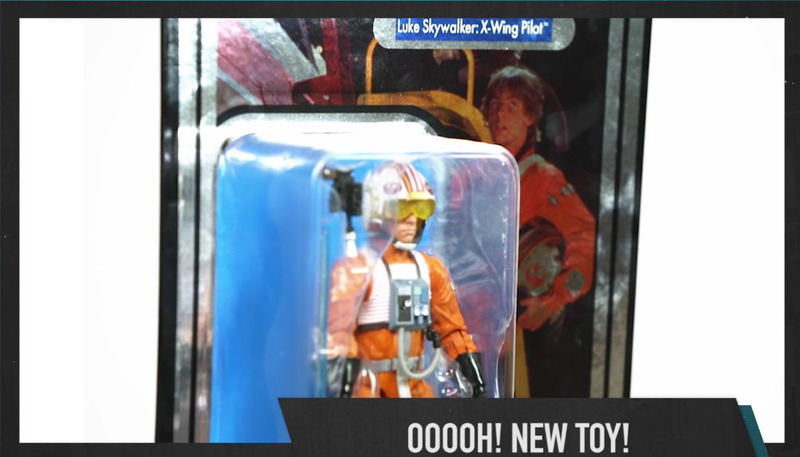 Check out the Star Wars – The Black Series X-Wing Pilot Luke Skywalker 6″ Scale Figure. 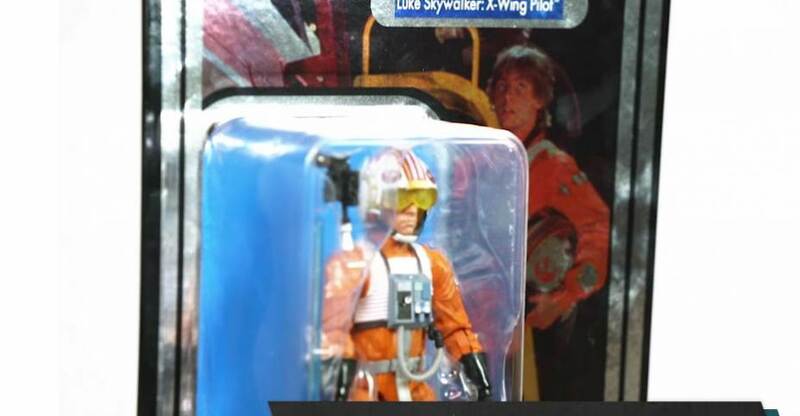 The figure comes packaged on a vintage Kenner style card, complete with foil lettering. Luke will have a Lightsaber and a blaster pistol. That’s not all! The crew from the show also visited the Sideshow Collectibles studio. There, they take a look at a few of the Rogue One: A Star Wars Story statues we’ve recently seen. Those include Jyn Erso, the Death Trooper, K-2SO and more. Check out the video below. I think it still means we are getting re-releases in a single wave, just not with this packaging I honestly do not care too much for anyway. 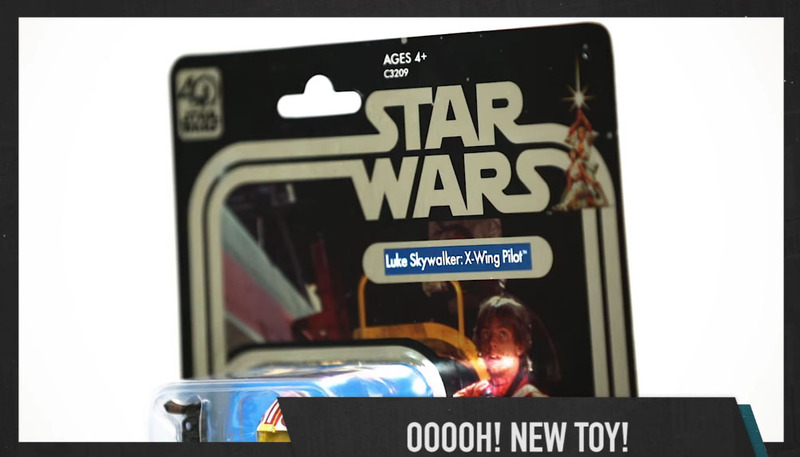 Any idea on whos exclusive will this luke be? Unfortunately, I missed his previous release, so I need him. Star Wars Celebration. In Orlando I think? The info is in both the video and the news story linked in the first post. As well as the thread title to that news post. I wish they'd stuck with the original box packaging and B&W art for the entire series. I liked the look of them in a line along the back of my shelf. Personally, I wish they would get away from the bland, black boxes with blank interiors and get back to blister cards with some nice card art. Same goes for Marvel Legends. So boring. Are the boxes even cheaper for production costs? I understand they last longer for mint collectors but honestly a dedicated mint collector should know how to deal with blister packaging too. To Hasbro's credit they have made progress in making the boxes more visually appealing compared to the practically blank original Black Series packaging. My bad, wasn�t aware there was going to be show, so I was in doubt. Does anyone know if they put these online for people with Celebration tickets but can't end up going? Kinda like some Comic-Con releases? Most of this stuff sells out before the floor even opens. But low and behold every vendor has it for sale marked up 3X the amount. I doubt it, I don't think they did it in the past unless that's changed but also like I said this is Star Wars usually everything sells out in one day. Not like SDCC where there are so many different brands of exclusives to choose from. Ah. That make sense. So even if I was still able to attend there would be a small chance. I would have even thought that since it's only geared for Star Wars, that there would be a good amount to go around through the multiple days.